You’re about to embark on one of the most important journeys of your life – proposing. But before you even think about proposing you have to first find the right engagement ring. 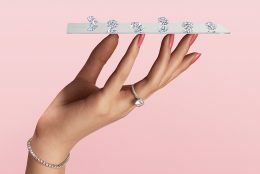 This handy guide on how to buy an engagement ring will show you how it’s done, and our customer service team of dedicated diamond professionals is here to help you every step of the way. Love doesn’t have a price on it, but engagement rings do. You certainly don’t have to (and shouldn’t) abide by silly antiquated rules like spending 2 or 3 months’ salary on the engagement ring, but it is important that you decide on a price that you’re comfortable with. When advising customers on how to buy an engagement ring, we always tell them to know how much they wish to spend first. You can rest assured that you’ll be getting the best possible quality at James Allen for your budget, and we offer payment options to help you make the engagement ring purchase. 7. Propose! You’ve bought her dream engagement ring, you’ve planned the proposal, now all you have to do is get the YES! Good luck! 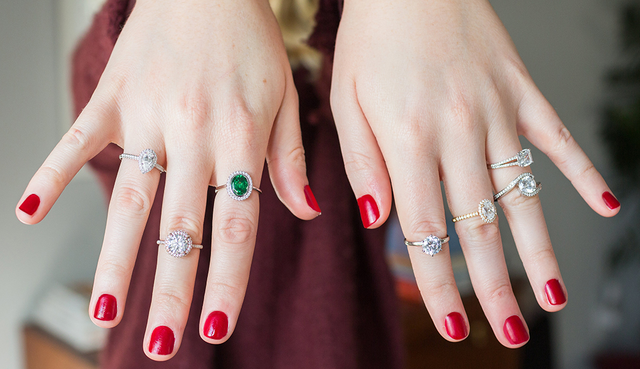 We hope we’ve helped you learn how to buy an engagement ring! Remember, the James Allen team is at your service, 24/7! Have you purchased an engagement ring on JamesAllen.com? Tell us how it went, in the comments below!